Some years ago now, I had the privilege of being exposed to the transformational work of Landmark Education Business Development (LEBD). My personal approach to life and my professional experience has been transformed over the past 15 years as a result of the work of this fine organization and its successor, Vanto Group. I have learned so much about how we operate as human beings through their work. One of the most transformational experiences for me was understanding the nature of integrity. At Board level, directors are expected to operate legally and ethically to standards that might be summarised in the word “integrity.” The same applies in the management of organisations. The generally accepted and practiced meaning is that our words and deeds ring true. 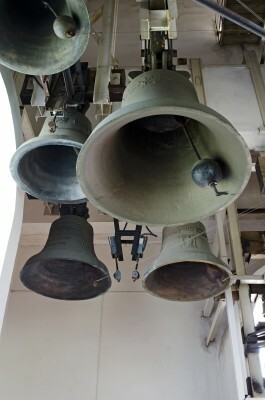 A bell rings true when it has integrity in all the aspects of design, manufacture, fabrication, moulding, burnishing, hanging and sounding to enable it to produce a clarion call. We have integrity when there is no disparity between who we are, what we say and what we do. ¨ CEOs making public statements about their company’s policies but then not practicing them in their personal life e.g. harassment and bullying behaviour in and outside work. ¨ Leaders signing policies which contain sanctions but then not adopting consistent approaches in enforcement e.g. using company resources for personal gain. ¨ Executives applying different standards for close colleagues e.g. allowing mates in the inner circle to do things denied to others e.g. travel with wives to company conferences. ¨ Leaders requiring the very highest standards of financial probity of subordinates but then “fudging” reports to superiors. ¨ Directors approving company policies but then not personally adopting the same standards. ¨ Leaders taking pay increases when shareholders and employees are left out in the cold. Leaders who think this is not important might like to verify it in their own relationships or by asking some of their team members how important it is to them personally. In my experience nothing clunks more than the appearance or the reality of leaders not practicing what they preach. Good leaders have a deep personal sense of what they stand for in the world. They make sure that they act consistently with this inner but clear set of standards. When they catch themselves about to act outside these standards they quickly make corrections. When they realise they have breached their own standards they quickly and effectively do whatever is required to restore their words and deeds to congruity with their beliefs and values.